(Natural News) A food science story is rapidly going viral, claiming that Subway’s Oven-Roasted Chicken is only 50% chicken, with the rest being soy (that’s almost certainly GMO soy). Covered in CBC News out of Canada, the story cites researcher Matt Harnden at Trent University’s Wildlife Forensic DNA Laboratory. According to the CBC News story, most of the tests showed the meats to be nearly 100% real meat (they were all tested without breading or condiments). 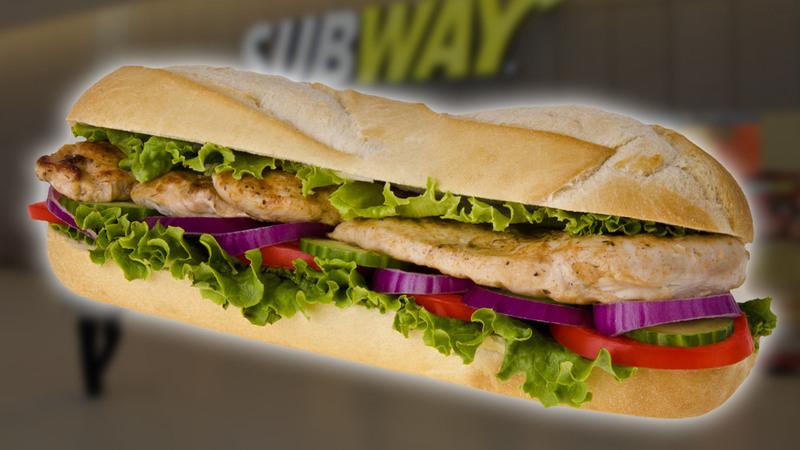 Subway vehemently disagrees with the test results and says its supplier is using only 100% real chicken. But to my knowledge, Subway hasn’t produced any in-house DNA test logs on their own chicken meat to contradict the news. Clearly, somebody is lying. But who? Possibility #1) Subway’s supplier may be lying to Subway. Possibility #2) Subway is lying to the public. Possibility #3) The lab is lying (or incompetent). Given that the lab already found nearly 100% confirmed meat in the other fast food samples, the likelihood of the lab lying or being incompetent seems remote. It also seems unlikely that Subway would knowingly deceive its customers, especially in an era when so many independent labs are testing fast food products (including my own lab, CWClabs.com). The most likely explanation, based on what we know so far, is that Subway’s supplier could be lying to Subway by claiming to be selling Subway 100% meat when, in reality, it’s 50% soy. If true, this means Subway is not intentionally misleading consumers, but may have been misled by its supplier. This happens a whole lot more than you might imagine, by the way. This is why we lab test every ingredient and finished product that we sell at the Health Ranger Store. You wouldn’t believe the number of times suppliers try to pull a “bait and switch” on health product retailers. It also brings up the question: Why didn’t Subway test its own ingredients for DNA so it could immediately counter this story? Wouldn’t you think that a major food chain like Subway would conduct its own in-house testing on ingredients just to make sure it wouldn’t get burned like this? Yet you’d also be amazed to find out just how many fast food companies and even health product companies take a “see nothing, say nothing” approach to the products they sell. Many of them don’t do any testing because they really don’t want to know the truth about what they’re selling. In any case, Subway has some serious ‘splaining to do! Follow all the news about the fast food industry at FastFood.news.